When I started watching American and British cinema seriously, around 1990-91, my entry point into those movies (like that of most viewers who aren’t intrinsically interested in a technical aspect of filmmaking) was through the world of actors. For the longest time I was obsessed with star filmographies from Classic Hollywood (anytime between the late 1920s and the late 1960s). I would scan video-library catalogues for epic films with large star casts (and if the plot involved a historical period I was interested in, all the better) - which was how I came to see, in those very early days, movies like Judgement at Nuremberg, The Longest Day, Becket and How the West was Won. And most memorably of all, Spartacus. Having just finished a minor school project on the decline of the Roman Empire, I had reason enough to be interested in the story of the slave revolt and its enigmatic leader, who almost brought the Empire to its knees in the 1st century BC. But there were other, less lofty reasons. To begin with, what a cast! There was the film’s producer, Kirk Douglas, in the title role (though to be honest, I thought Douglas was the most unobtrusive member of the cast at the time). A way-too-waiflike Jean Simmons as Spartacus’s lady love Varinia. Tony Curtis as the dreamy young poet Antoninus, who joins the slave revolt (I learnt later that the role had been written in for no better reason than that Curtis had told Douglas he wanted to be a part of the project!). And best of all, a great trio of British actors: Laurence Olivier as the Roman general Marcus Licinius Crassus (who was historically a member of ancient Rome’s First Triumvirate along with Pompey and Julius Caesar – though this doesn’t figure in the film); Charles Laughton as his political rival, the senator Gracchus; and the multitalented Peter Ustinov (who won the supporting actor Oscar for this role) as the wily slave-trader Batiatus. And those were only the leading players. The supporting cast was equally interesting to me, since it included actors I was familiar with from other films, even in those early days. The woodenly handsome John Gavin, who had a small role here as the callow young Julius Caesar, had played Sam Loomis in Psycho. Also in a supporting role was John Dall, who was one of the homosexual killers in another Hitchcock film, Rope. All this helped make Spartacus a comforting experience, quite apart from the fact that I was enthralled by the movie itself. The films we have a deep affection for as children rarely live up to our memories of them. Our tastes evolve as we get older (more so when film-watching is more than a hobby, as in my case), our gaze becomes more analytical and self-conscious on a repeat viewing, so that it’s possible to be slightly embarrassed by performances and dialogue that one originally had a very high opinion of. A scene that one’s memory had inflated into something very grand and elaborate turns out to be a trifle, lasting just a couple of seconds, when one re-watches it; it’s like returning to that mansion-like house you had visited as a child and finding that the halls and stairways are much narrower than you expected. Over the years, when I returned to Spartacus, I was able to see the little flaws more easily – the Hollywoodisation (read: cheesiness) of some scenes, the incessant, manipulative music score, the fact that occasionally (but only occasionally) one gets so fascinated by the acting bouts between titans like Olivier and Laughton that one forgets about the characters they are playing. But in essence, my high opinion of it hasn’t changed. This is one of the best-written, best-acted, most intelligent epics of its time, superior in most ways to others of its time and genre (Ben-Hur, The Ten Commandments, Quo Vadis?, The Fall of the Roman Empire). Part of that superiority comes from the fact that there are no religious overtones in the story at all (this was something that made many of the period epics of the time both maudlin and distracting) – the focus is entirely on the internal politics in the Roman senate. I find it annoying that Spartacus has suffered a decline in critical appreciation for a reason that doesn’t have much to do with the actual merits or demerits of the film itself. The facts are these: the movie carries a “directed by Stanley Kubrick” credit and Kubrick, as most of us know, was one of the great directors (more crucially, a great auteur-director). 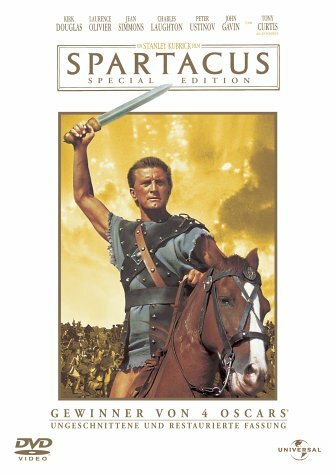 But on Spartacus he was a pawn – he was hurriedly brought in after the original director Anthony Mann had quit, and throughout the shooting he not only had to be subservient to Kirk Douglas’s vision, he also had to deal with the massive egos of the British actor-directors working in the film. By all accounts it was a traumatic experience for him and in subsequent years, short of actually disowning Spartacus, he did everything to make it clear that it wasn’t “his” film. And over the years, as Kubrick’s own reputation as a master filmmaker (deservedly) grew, some critics and moviegoers turned their resentment to this one film he never had full control over. But this is silly reasoning. Just because Spartacus isn’t a good Stanley Kubrick film doesn’t mean it can’t be a good film on its own terms. Agreed, there are certain kinds of movies that would fail miserably if their directors weren’t allowed full control. But this isn’t one of them. It was already in production long before Kubrick arrived on the sets, it had been carefully scripted and planned by some of the most dedicated people in the craft (including the writer Dalton Trumbo, who had been on the Hollywood blacklist for Communist affiliations and who Douglas permitted to use his own name on the project) – and the results are there for all to see. This film is a remarkable collaborative effort between some of the most talented people (across all fields) in the film industry of the time, and a movie that somehow managed to shape up coherently despite a long and very problematic filming process. However, there’s something else that gets overlooked. When a great artist contributes to a work, no matter how half-heartedly, it’s inevitable that he’ll leave his stamp on it. Notwithstanding Kubrick’s own resentment of the film, Spartacus does also contain a few ideas and visuals that foreshadow his later work – notably the theme of the conflict between humanity and mechanisation. Spartacus postulates that the practice in ancient Rome was to turn human beings into machines through the practice of slavery - world dominance was maintained by stripping people of their humanity and turning them into cogs in the machinery that kept the Roman Empire running. Some scenes (the clinical, relentlessly efficient Roman battalions intercut with the disorganised slave camp; the cold gleam in the eye of the sadistic slave-master who was once a slave himself) palpably come from the same hand that gave us Dr Strangelove struggling with his own mechanical arm, Alex being systematically transformed into a Clockwork Orange, and the magnificent image of Dave Bowman dismantling the computer HAL in 2001: A Space Odyssey. Over 1200 words. Lots more to say but will stop now. P.S. As I mentioned in the previous post, the special features on the DVD are awesome, especially the commentary by Kirk Douglas, Peter Ustinov, Howard Fast, Saul Bass and restoration expert Robert Harris, and the long interview with Ustinov where he supplies some uproarious impressions of Olivier and Laughton. Excellent DVD review here, by the way. And if you’re interested in knowing more about the film and its shooting, do read Douglas’s wonderful autobiography The Ragman’s Son. Very nice review. Liked it a lot. Aside - Goscinny and Uderzo (well, Uderzo) paid a handsome tribute to Spartacus in "Asterix and Obelix, All at Sea." They've paid tribute to Laughton and Olivier in other Asterix comics. Btw, I've been watching this superb series. Try to get the DVDs if you can. You casually did mention what my biggest grouse about spartacus is -"dialoguebaazi". 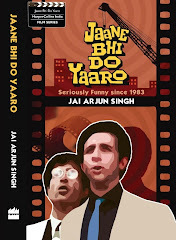 So reminded me of earlier desi films whose trailers went "memorable dialogues.....heartrending melodrama...dishoom-dishoom"
but jabberwock, I loved it when I was younger. a) I do remember being very impressed with it when I watched it as a kid. It's just when I tried to watch it six months ago that I found it almost entirely unwatchable. c) Mostly I think the trouble with Spartacus (and yes, this may be a hangover from Kubrick) is that it seems like a movie with so much promise. With stuff like Ben Hur you knew it was one overblown soap opera and just snoozed through it - with Spartacus you can actually see how the movie comes so close to saying something truly important, being an epic in the true sense of the term, and then it'll suddenly generate into pomposity and bathos. It's that sense of disappointment that mars the film for me. If you like kubrick and kirk douglas,I would recommend watching Paths of Glory.It is a black and white movie,but the potrayal of the first world war has ,in my opinion not been surpassed by any other movie.I have never seen a movie that articulates the horror of trench warfare in such detail.Kirk gives a very restrained performances and Kubrick is at his sensational best.It is one of kubricks earlier works and it showcases his artistry. Quizman: thanks. Am hoping Rome is telecast on HBO India sooner rather than later - though I'm not too good at watching films on TV. Retroauro: have seen Paths of Glory (have seen all the Kubricks except Killer's Kiss) - now THAT was a film directed by Kubrick in the true sense. Back to Spartacus......the first half of the movie is amongst the best movies i've ever seen. Not so the second half. It's the greatest epic movie that could have been. And it's still a good movie. An early encounter with Ben Hur was enough to put me off all Hollywood epics for all times to come. I haven't watched Spartacus, but am now tempted to do so. By the way Jai, do you know of any good Italian films that deal with themes set in the Roman empire. For films that deal well with their own country's literary past, history and mythology, check out the Greek film "Electra" with the magnificient Irene Pappas in lead. Sunil: think we'd discussed I, Claudius once before on blog comments. The Derek Jacobi one has always been high on my list, but what I'd really love to get my hands on is another unfinished project from the 1950s, with Laughton in the title role. Don't know if it even exists now. Swati: strangely enough, I can't think of any offhand. Very odd, that. Must research and try to find out. If you do watch Spartacus don't keep your expectations too high. It is an occasionally bloated Hollywood production (though certainly more involving than Ben-Hur) - and remember, my own fondness for the film stems from the time I was an impressionable 14-year-old! Ah yes.....it was with you that I was having the conversation about Claudius! I've been trying to get hold of this myself......searched many libraries (which here have fantastic collections), and failed. Coming back to Spartacus......supposing some one else were to make the movie (other than Kubrick)......whom would you choose, and why? I will always rue the fact that I never got to see Spartacus on the big screen! I thought Spartacus had some great dialogues, especially the "oyster" insinuations. Thanks for all the background on the movie! Probably mentioned this before...have you read Koestler's The Gladiators? The parts of how Spartacus becomes increasingly alienated from his followers, who fall apart from some manner of fighting force into a bickering hungry rabble...quite marvelous. Also comparable, William Styron's superlative Confessions of Nat Turner.